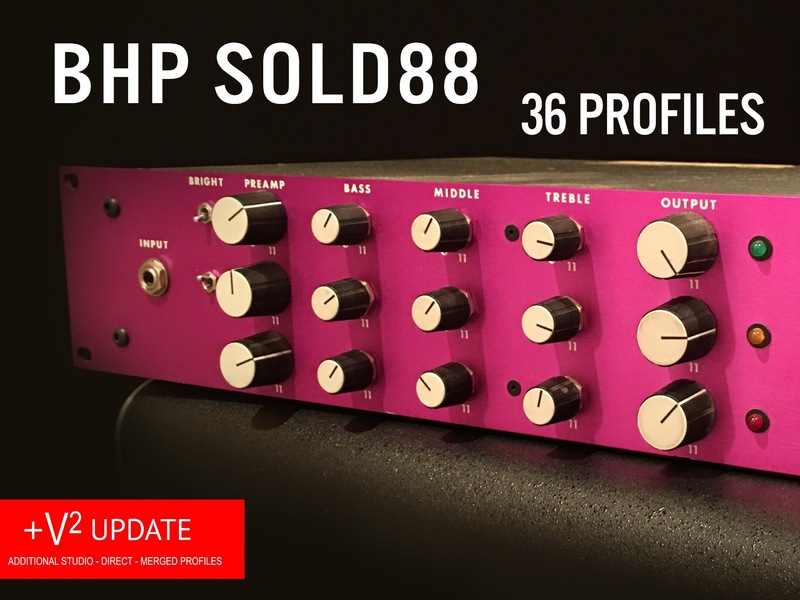 The BHP Sold88 Profile Pack seeks to recreate the classic guitar tones from rigs and recordings that incorporated the Soldano X88r. The X88r was one of the crown jewels of the rack era preamps, and was widely used by studio guitarists, and rock, and pop guitarists alike. Legendary studio guitarists like Steve Lukather and Michael Landau used the X88r extensively, while a generation of guitarists followed suit. The Sold88 tones were created using multiple speakers, mics and cabinets, and include profiles of other classic "Sold" style tones. 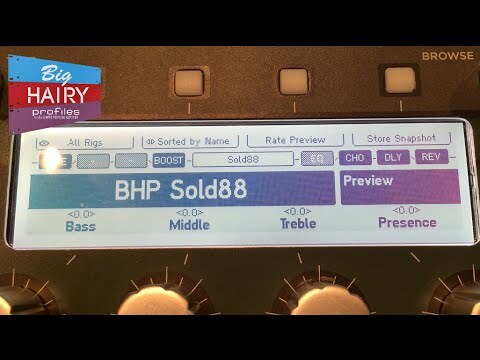 The BHG Sold88 is a pack of 36 profiles for use with the Kemper Profiling Amplifier. 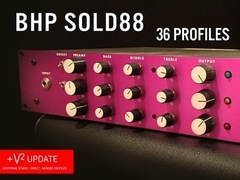 The Sold88 V2 patches are new STUDIO (5), DIRECT (7), and MERGED (6) profiles, ranging from clean to full searing lead. It's the first time I've ever released Direct profiles. All of the V2 profiles were recorded with a gorgeous chrome faced VHT Classic EL34 power amp, which I didn't have when working on the V1 (so that's new too).